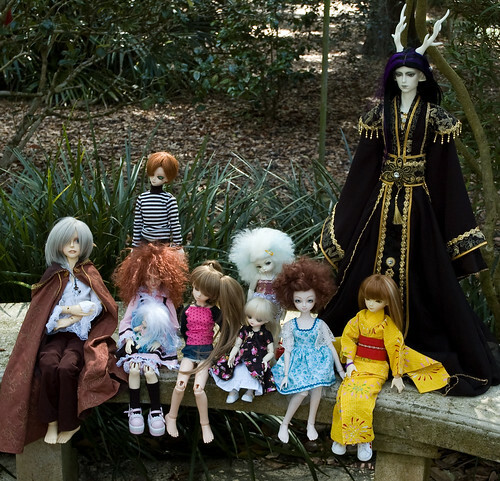 My mother thinks I’m crazy, she can’t understand why you would go to a doll meet. I bet if they were having a meetup for basket collectors she would go. This meetup was in Orlando (awful traffic) it was a nice day, maybe a bit warm. 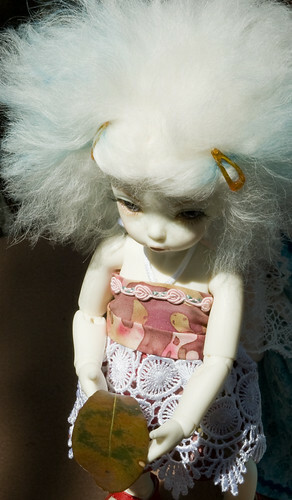 Its good to see other dolls and definitely after seeing one very large one there I know I have started with the right size for me. Here are some pics I got. Both girls are wearing new dresses. My sewing skills have improved. My littlefee bisou that I order back in February finally arrived and I’ve had time to do her faceup and crochet a quick dress for her. 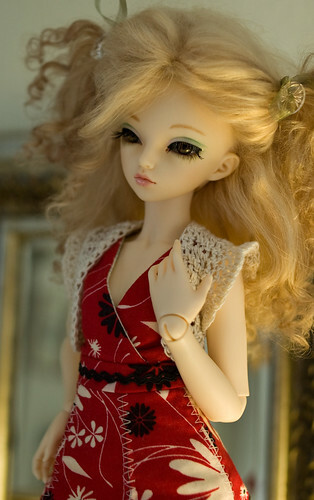 Also the wig I had ordered for my mnf rheia came in, so she is no longer sitting around bald. 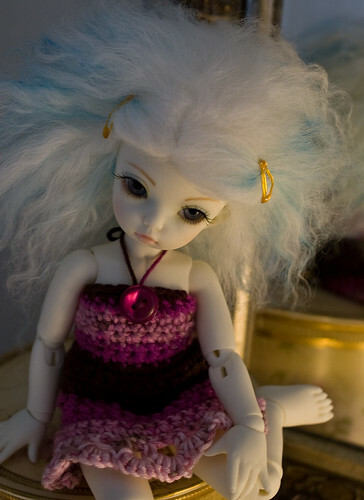 Now I’ve sewn cloth dolls and made clothes for them but sewing for a bjd was a bit different. 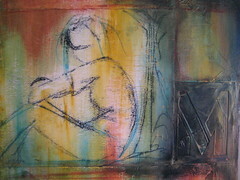 It would have been easier if I had a pattern to follow and wasn’t just making it up as I went. It would also have been nice if my sewing machine did not try and eat the knit fabric every few stitches. Well here is the first outfit. The skirt came out ok and I like the line of lace around the bottom. It is a piece from a box of lace we found when cleaning out my grandmother’s things.